Today in hockey history, an ancient hockey tradition is carried out, an individual extends his record, people give their love to Gretzky, the team he once played on reaches a milestone, and a player returns to action in incredible fashion. 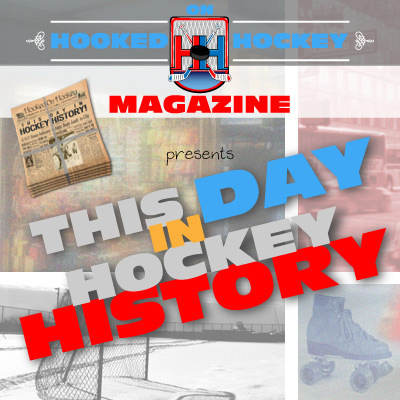 December 27, 1897 – In a “Challenge Cup” game in which the best team in one league would be formally challenged by a team from another for ownership of the Stanley Cup (at any time), the Montreal Victorias, who had a 7-1 record in the AHAC and were challenged by the Ottawa Capitals, won the match by the blowout score of 15-2. Normally, these challenges would be a best-of-three series, but the other two games were cancelled because the Victorias beat down the Capitals so badly. I’m not kidding. The win allowed Montreal to retain their champion status. December 27, 1979 – Charlie Simmer scored in a Kings 3-0 shutout over the Nordiques to extend his goal-scoring streak to 13 straight games. And then he scored again just in case the first one didn’t count for some reason. His streak ended at 13 and is considered the “true” record, though Harry Broadbent had a 16-game streak back in 1921 (that’s not considered the record because it wasn’t scored in “modern” play). December 27, 1981 – Twenty-year-old Wayne Gretzky was named “Man of the Year” by the Sporting News. Exactly eight years later (1989), Gretzky was honored as the Associated Press Male Athlete of the Decade. Can’t really say I’m surprised. He received an incredible 307 votes, more than double the combined votes of second place Joe Montana (85) and third place Magic Johnson (59). I remember when other people cared about hockey, sort of. December 27, 1990 – The Edmonton Oilers beat the Flames 4-1 to record their 500th all-time win, and they reached the mark in just 915 games; in fact, their record after the win was 500-295-120, good for a winning percentage of .612, the best of any team in NHL history upon reaching that milestone. Yeah, it helps when you have Gretzky, Messier, Kurri, and Coffey for most of that time. December 27, 2000 – After retiring in 1997 due to injury problems and lingering cancer issues, Mario Lemieux returned to the NHL after three-and-a-half years. And he picked up right where he left off, picking up an assist on his very first shift of the game. Not only that, but later in the night he added another assist and a goal, good for three points. That’s incredible, and it really speaks to the kind of resilient character and talented player Lemieux was. The Penguins beat the Leafs 5-0.